If you've been on Instagram at all in the past few months, chances are high you've seen, double-tapped, or saved Patrick Ta's work. Gigi Hadid, Bella Hadid, Shay Mitchell, and other models and It girls count on him to get them ready for red carpet events, and his signature glowy, airbrushed, glam-yet-wearable aesthetic is the reason he's one of the few makeup artists with over a million devoted followers on Instagram and counting. Personally, every time I see Patrick's work on my feed, I feel a mix of both extreme admiration and despair. Admiration for the way he seems to know exactly how to flatter his clients' best features in both subtle and edgy ways (Olivia Munn says he's the reason she appreciates the transformative power of makeup, and hello, please admire Bella's highlighter-yellow eye shadow here). Despair because I know that I will never be able to achieve his makeup prowess or experience his touch. That is, until last week. 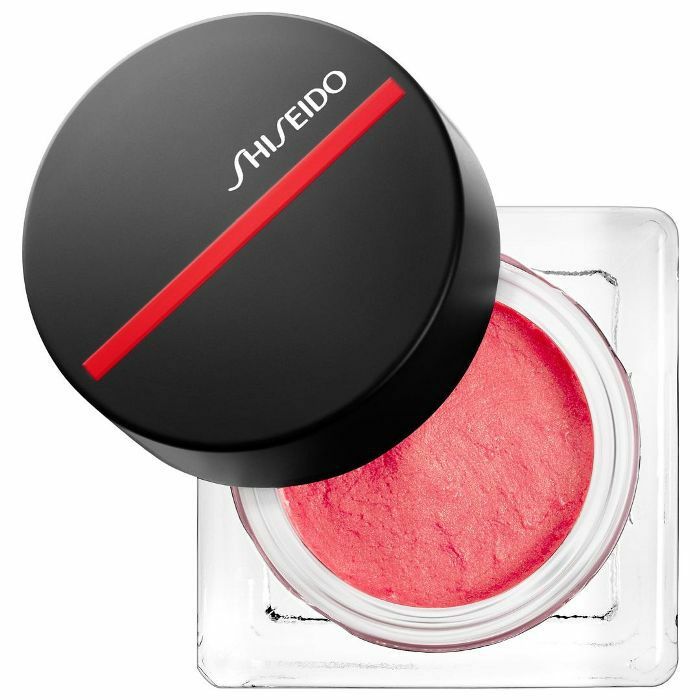 Ta, who recently joined Shiseido as a global color artist for its newly relaunched makeup line, offered to demo some of his favorite products from the new collection on me, and needless to say, I practically wiped off all my makeup on the spot and ran to meet him. As he dabbed fluffy cream blushes and swiped airy, shimmery shadows on my blissed-out face, I tried to pay attention to his every move so I could somehow harness his magic touch into my own routine. I might not have fully succeeded, but I did leave with eight important takeaways that have changed my makeup technique for the better. Keep scrolling to see what they are! "I start with lips before I do blush," Ta told me. "I stick to the same family in undertones just so everything looks cohesive and blends well together." So for example, if your lipstick has cool undertones, opt for a cool-toned blush and vice versa. In the photo above, he decided to use Shiseido Modern Matte Powder Lipstick ($26) in Flame on me, and then dabbed Minimalist Whipped Powder Blush ($29) in Sayoko, a fluffy, brick-toned red that looked more intimidating in the pot than it did once applied on the apples of my cheeks. If you're afraid of looking clown-like when attempting cream blush, Ta told me to always take your finger, tap it in the pot, and then tap it onto the back of your hand to diffuse the product before applying it to your cheeks. It ensures there's less product before you fully apply and gives a more natural effect. When I asked Ta the one beauty tip he thinks everyone should know, his answer was simple: "When you think you're done blending, blend some more." Noted. "I used to be afraid of powders because they tend to look more cakey," Ta said. "But powders photograph so well. 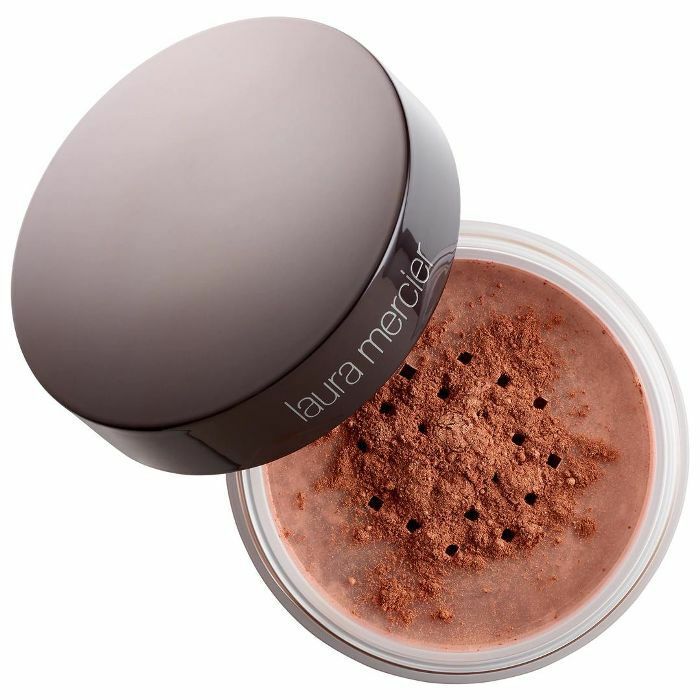 If you’re someone who gets photographed a lot, powders are your best friend in certain areas." As someone who doesn't get photographed often unless I'm taking a photo of my own self, I still found this tip to be helpful. He suggests always putting powder in your smile lines (the lines between your cheeks and your lips), on your chin, on your nose, above your lips, and on the center of your face. "I always leave the perimeter of your face natural but make sure the center of the face is powdered," he tells me. "It acts as a filter and everywhere else is kind of shiny, so it acts as a natural highlight." When it comes to applying matte lipsticks, Ta told me he prefers to actually apply directly from the bullet. "It has the most impact in color and swipes most evenly," he explains. If you want a super-precise line, follow with a lip liner. As much as you might be tempted to go all out to achieve your #dewyskingoals, Ta says to make sure you're using the right highlighter technique. "Start at the apples of your cheeks, then blend out," he said. "Highlight placement is so important. Always highlight the high points of the cheekbones, but never too close to the eyes because it can actually change the way your face looks in photos." I'm personally obsessed with Shiseido's new Aura Dew pots, which add the prettiest sheer shimmer where you dab it with your fingers. Ta used it on my eyes, but I've also been tapping it onto the high points of my cheeks for a glistening effect. Not all of us have a Hadid's bone structure, which means bright pops of color and bold shades might be intimidating for most. I asked Ta: How does one dip a toe into bright makeup without looking like you face-planted into a box of pigments? "Definitely start with color on your eyes, and start more minimal," he advised. "When you wear color, wear it with purpose. If you have something in your outfit that's blue, add a little bit of blue liner above your lash line. Start off small; then experiment from there." The key to keeping the look fresh and cool is all about the skin. Ta recommends keeping your skin clean, with a bare-faced effect, if you really want to ensure a mistake-proof bold color look. "One of my favorite looks on a woman is when she has no makeup on, maybe some lip balm and blush, but she puts a bold color on her eyes," he said. "It makes her look so understated and cool." 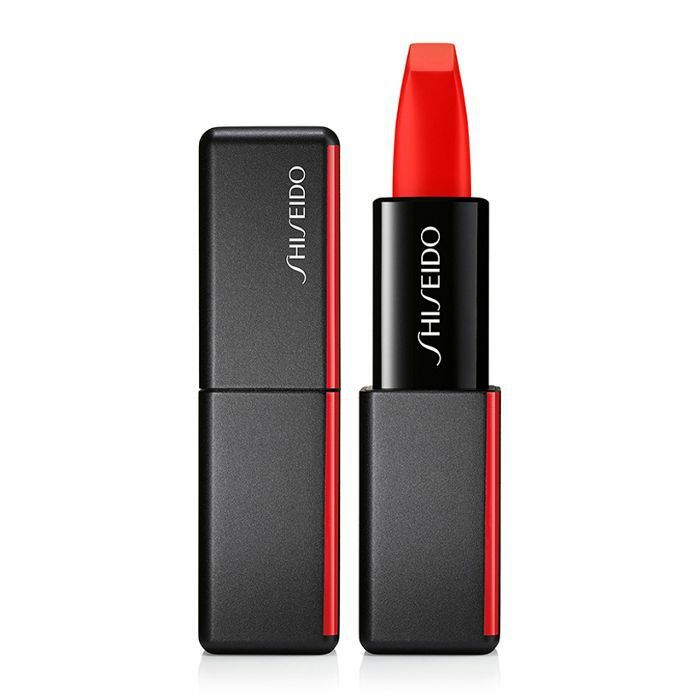 Ta told me that of all the products in Shiseido's new line, he thinks the Modern Matte Lipsticks are the most universal. "They're my favorite, favorite products," he says. "I love how they feel and photograph and look in person." When asked about the most universally flattering shade, he immediately said Flame, the shade he used on me. "It looks good on everyone I've tried so far. And people who think it doesn't look on them, they're just not experimental," he laughs.